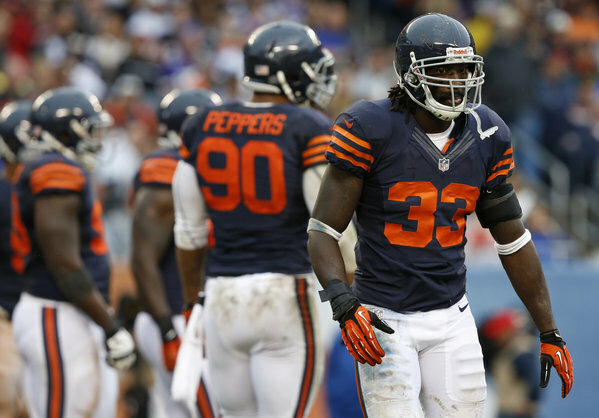 Charles “Peanut” Tillman will return to the Chicago Bears for another season. Last year, the Chicago Bears defense was once again historic. This time, the once dominant defense did a complete 180, going from best to worst. The team gave up an average of 394.6 yards-per-game, that was good for 29th in the league. The most worrisome statistic comes from the team being ranked dead last against the rush, giving up a startling 2,583 yard total. General manager Phil Emery has already locked up Jay Cutler, Tim Jennings, Matt Slauson, Robbie Gould, and Tony Fiammetta following the season ending press conference. He also made it no secret that defense would be the heavy target this off season. So far, so good. Right? Let’s take an in-depth look at how different this defense really looks. After the team “lost out” on Michael Bennett, most fans had their eyes set on Michael Johnson but ultimately ended up with Lamarr Houston. At only 26 years old, Houston is still young and on the rise. On the surface, his numbers may not be impressive but look deeper. Pro Football Focus ratings: 11th overall/5th against the run/41 QB hits/16 QB hurries. Young had a few visits and with no reports forthcoming, he became the second big addition of the off season. Young is another case of his surface stats not lining up with his actually impact. Entering his “prime” Young is still just 28 years old and will become a well-rounded rotational tool, that Tucker will now have in his arsenal. Pro Football Focus ratings: 16th overall/10th in pass rush/21st against the run/3rd in QB hurries with 48/4 batted passes. With two different reports of Allen signing with the Seahawks, there was not much hope. After wreaking havoc on opposing NFC North teams since 2008, he will be a welcomed addition. Allen has recorded seven straight years of 10 or more sacks. Although his instincts against the run are deteriorating, he can still expected to play on each passing down. The key will be limiting his snaps and with the new three player rotation, too many snaps should not be an issue. After last year’s disastrous end, Safety was a main concern going into the off season. Emery has not taken the approach most fans have wanted but is looking to add competition at a cheap price. Enter Mundy. Going into his 6th year, Mundy has never been a consistent starter. Miscast at free safety, the 29-year-old will have a clear chance at the starting role. Tillman has been a cornerstone of this defense for the last decade. Although it looked like he was due for a Lovie Smith reunion, plans fell through and he came back on a one-year deal. When Tillman is healthy, he is one of the top corners in the game but at 33-years-old, many wonder how much he has left. A team friendly “stop-gap” type deal, makes sense for both sides. Garza has been a mainstay on this line for quite a while now. Garza had possibly the best season of his career last year but at 35-years-old, he is no longer a long term option. He is said to be the leader of this line and more than reliable in pass protection. With many other holes to fill, this deal made sense for both sides. Ratliff came over in the middle of season after being released from Dallas and did a nice job. He made it known, he wanted to be back with the team and Emery obliged. Once a pro bowler, Ratliff has lost a step but still has enough left in the tank to be effect. Much like many other re-signs, his age holds him back from being a long term option. He should prove to be a sufficient transition piece, though. Williams was brought in to be Urlacher’s replacement on a year-by-year basis. After a season ending injury and rookie Jonathan Bostic’s struggles, the long term plan still remains uncertain. Emery also announced in a previous press conference that Bostic and Shea McClellin will compete for the starting Sam position. While there might have been other options, Williams made the most sense. Emery did say he wanted to get younger, especially on defense. At first glance, that hope seems to not have gone according to plan but it needs to be understood that a team does not get younger through free agency on a budget. This draft will top this one year plan off and ultimately infuse youth within the roster up to twenty-percent. 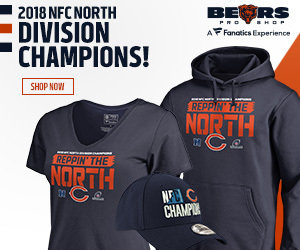 The team has filled many holes with little space and while they opted to use “Automatic Conversion” clause through Cutler’s contract to borrow $4 million, it’s clear that Emery, Trestman, and company are in a “win now” type of mode. As of right now, with the pending cut of Eric Weems, the team has $8.5 million left in cap space after the recent re-structure in Cutler’s contract and Allen’s contract included. After factoring in draft class and season/emergency money, the team has about $3-3.5 million left to spend in free agency.